1 Bedroom Detached House For Sale in Tunbridge Wells for Guide Price £275,000. Town Hill Lodge is a detached newly converted chain free property within the heart of Lamberhurst Village. 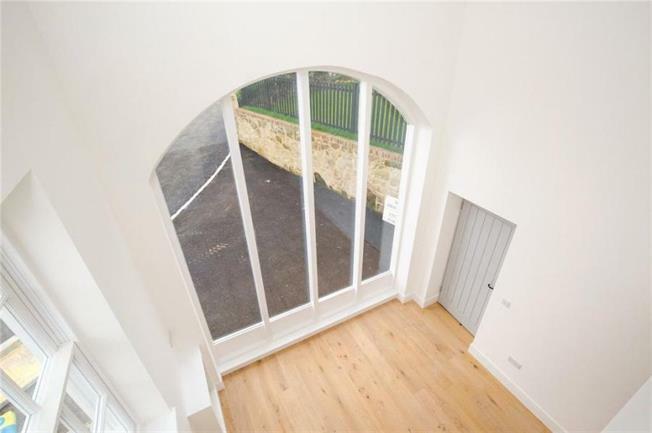 The property offers bright, spacious accommodation and comprises of a sitting room with arched feature window, fully fitted kitchen, bathroom and mezzanine bedroom. The property benefits from off road parking to the front and a landscaped terraced garden to the side which is laid to lawn and fence enclosed. Town Hill Lodge is situated on Town Hill, close to the heart of the popular village of Lamberhurst, with its general store and well-regarded public houses. Wadhurst, some 4 miles away, offers more extensive amenities including supermarkets, post office, independent shops, bakery and butcher. Tunbridge Wells (about 7 miles) offers high street shopping, supermarkets, theatres and restaurants. Bewl Water and Bedgebury Forest are close by and offer a wide range of outdoor activities including walking, horse riding, cycling, water sports and fishing. Mainline rail: Frant (at Bells Yew Green - about 4.6 miles) with services to Charing Cross (via London Bridge and Waterloo East) and Cannon Street, or Wadhurst (about 4.7 miles) further down the same line.